As we approach the end of 2018 and the beginning of 2019, let me first say thank you, on behalf of the Fil-Am Voice, to our staff, our advertisers, and our readers for another year of your hard work, financial backing, and general support. Maraming Salamat Po! The end of the year is always marked by the hustle and bustle of trying to complete projects and plan for the coming year. For those of us in business, we are focused on ensuring we have met our goals for the year and our plans for next year are in place. As Filipinos, we celebrate Christmas and New Year with a bang. 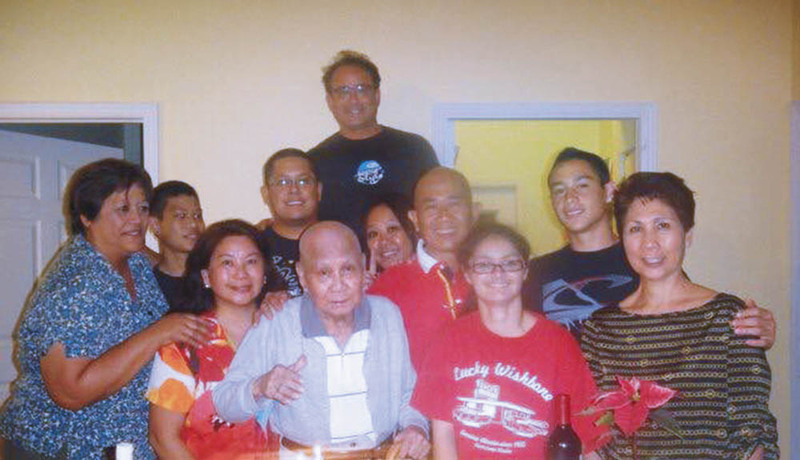 Here on Maui, our Filipino community gathers for celebrations galore. The other week for example, my wife Telly and I were at Binhi at Ani for three straight days for family and community celebrations. Wrapped up in our festivities are traditions that our forefathers brought from the Philippines: parol making, Christmas caroling, visiting family and friends, making cancanen, and exchanging of gifts. For me, my favorite Christmas carol is Have Yourself A Merry Little Christmas, my favorite kankanen is puto kutsinta, and my favorite festive beverage is a glass of red wine. Our transition to the New Year includes a pause on December 30 with the celebration of Rizal Day. We continue to celebrate the death anniversary of Jose Rizal, one of the Philippines’ greatest heroes. In this issue, our Google Is Not Everything column focuses on our high school youth’s perceptions on whether Jose Rizal is still important today. As we look forward to the New Year, many of us will make resolutions that involve our personal relationships, financial well-being, and health concerns. Many of us joke how our resolutions—especially those involving losing weight—are broken by the time we take our first bite of the lechon during our family get togethers. But as Sharon Zalsos Banaag writes, health and being fit is important so if you need to concentrate on your health in 2019, please be serious about it. We want all of you to lead a healthy life in 2019 and beyond! As we toast the New Year, let us remember those who have gone before us to pave the way for our family and our community. I am eternally grateful for my late parents, Daniel Urban and Felicitas Tolentino Urban for their sacrifices and hard work. Dios ti agngina. Agyamannak unay iti tulong yo kaniak.